Do you have any idea about how much amount of blood is lost during menstrual cycle of women? It is about 30-40ml in a normal women. At this stage women requires iron. As we all know iron helps in formation of new blood, it is the main component in hemoglobin. During these five days food rich in iron is recommended for the women. Women loose iron not only during menstrual cycle but also during pregnancy. Survey reviles that 80% pregnant women are anemic. 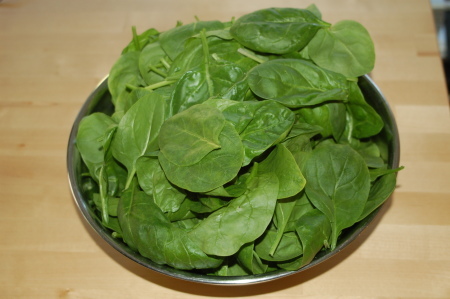 Spinach contain Folic acid (vit B9), iron and very essential vitamin A that are very essential during pregnancy. 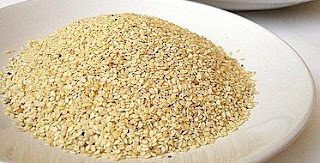 Sesame is also rich source of iron. So I'm combining both to make a perfect combo that recovers iron and other minerals during those five days and pregnancy. Take Yellow lentils+spinach+green chilies+onions+turmeric+2cups of water in a Cooker and cook for 3 whistles. Open the lid when all the moisture inside the cooker escapes out. powder and cook for few more minutes in medium flame. 6. Now add tamarind juice and cook for few more minutes. 7. When the mixture is throughly cooked add chili powder and salt. 8. Now add Dal mixture to the pan and mix well. Cook for few more minutes and off the stove. It's not only healthy but also tastes yummy.....enjoy this dish with rice/ roti....hope you all like it!!!!!!!! Nice recipe Deepthi. I was trying to follow you, how do I do that? Ohhhh very thoughtful recipe! Perfect! Thanks for the healthy recipe dear!! Healthy recipe and useful info. Thx for sharing. wow, such a nice one. Deepthi...very informative. !!! 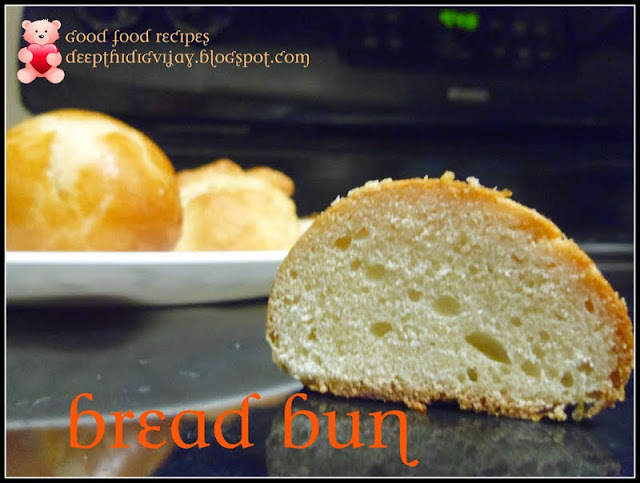 Loving the ingredients used in this recipe. Its sure a healthy one.. Wow!! this is what called perfect healthy and tasty combo. I have never used sesame powder in this. Must give a try. Happy to follow you. this is sooooo good! thanks for sharing.